I chose to go to USC because it’s the top film school in the world. It also has an unmatched sound program. As students, we are taught the entire process of filmmaking, everyone gets to direct, produce, shoot, edit, do production design and sound. So as a sound designer I understand the work of other departments at a level that allows me to incorporate sound into the motion picture instead of seeing it as an isolated craft. Without any doubt USC prepared me for my job as a sound editor and re-recording mixer. I regularly mix in large dub stages. I interface with production companies and producers. I am always prepared from the technical side; however, most importantly school has taught me how to artistically approach a film and communicate through sound on a subconscious level. The sound storytelling aspect of what I do is the biggest lesson I’ve learned thanks to my mentors and professors at USC. At SCA, students have tremendous support from the entire sound department. We have access to state of the art dubbing stages and edit suites, all running on the latest industry standard software and plugins. We have an incredible sound faculty: award winning sound editors who have dedicated themselves to teaching students to tell stories through sound. Once you pair that type of invaluable mentorship with the incredible tools provided by the school, there are really no limits as to what you can achieve. I took to heart advice from my mentors at USC: to be able to create art one must be able to master the technical side of the craft. At SCA I made it my goal to work on as many projects as I could. At the end of my studies when I was working on my resume, I put on paper everything I worked on at school — from small half day projects to massive thesis projects with Dolby Atmos mixes — I came up with a list of over 40 short films. Since graduation I’ve been lucky to have worked on 18 feature films, 3 TV pilots and 3 web series. Having a film in Sundance is every filmmaker’s dream. 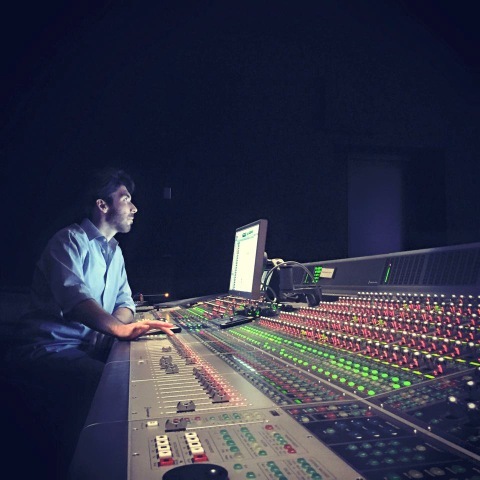 A sound team, is here to serve the vision of the director, being able to translate a visual language into sounds is an extremely difficult task. That’s why, when a movie gets into a film festival like Sundance, it’s an extremely rewarding feeling to know that the picture we made is amongst the top stories told in the world of cinema that year, but most importantly that we managed to create a story in which the directorial vision, performance, cinematography, editing, sound and all the other dimensions of filmmaking spoke with a unified language. 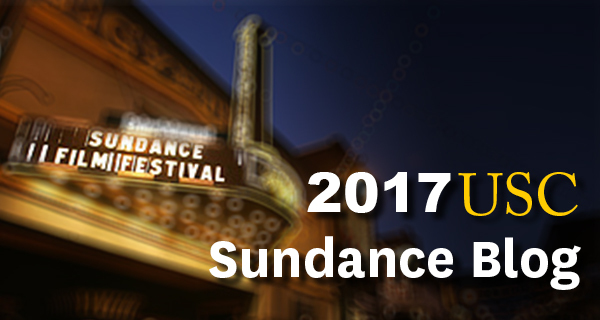 Being a part of Sundance is a fantastic experience because you get to watch and learn from all the other filmmakers as well as develop new relationships. Being a USC graduate is an invaluable calling card.